Discussion in 'Survival Server 2017' started by Noctis, Jan 26, 2018. If you are reading this message, you are about to embark on an exciting new journey into the the realm of the unknown. The lands of the Noxcrew Factory are open once again and many brave souls, such as yourself, have ventured forth to build a new life for yourself. All that possibility, all that excitement, a new world ready to be shaped and moulded by your hands. But uping stick and moving to a new land can be stressful and it can be lonely. Who'll be there for you, to have your back in the darkest hour, to help you when things get rough? The Noxcorp Exploration Team are offering you the chance to bring another brave soul, another frontier to help you pave your way in this strange and hostile land. But finding the right person for the job can be difficult, especially if you don't know them, know their skills or personality. Well fear not! At the Noxcorp Exploration Team message board, you can search for your new companion to join you on your quest for a new life, a successful business and a unified community. Place an ad for your +1 in the messages below and choose your new companion, today! When you've chosen your new companion, get in touch with our Noxcorp administrator, Avondale, and we'll make sure you can both conquer this new world together. I am interested in obtaining a guest pass. I started playing MineCraft in Alfa 1.7, so I've been playing for a while, but I found that all my favorite survival servers were closing due to lack of interest, and so I stoped playing Minecraft for a while. Eventually I came back to it and played on some of my single player worlds, but its not the same. I started watching the Noxcrew when Captain Sparkles first was on the show, and fell in love quickly, and watched most of the shows since then, at one point applying to join the build crew, but I had not done enough builds on my own, so I was not accepted. I would love to be in a role playing setting with other great minecrafters who would be as immersed as me. Hi, I'd like to obtain a guest pass... My skills: I'm good at building, good at pvp and good at decorations. I really love survival servers, but I've never found a good one, but then I found this. I also love roleplaying and it could really be cool to have someone to team up with, so I'm lookin' forward and hope that someone will give me a pass. Have a nice day, everyone! Hi, I am interested in obtaining a guest pass. I like building and going on trips with other people. started playing Minecraft about 7 years ago but after all the servers I played on shut down I lost interest in Minecraft. I hope getting a guest pass on the server will be my way back into the game. I'm not bothered but got told to do this anyway. I am interested in getting a guest pass. I am a good builder and can follow whatever you say when you need me. If you want to get in touch with me on discord my username is ItsDatCheeseGuy#8681. When role playing my name is Cheese. I am a nervous Cheese person who is scared that they will be eaten, but I like to eat cheese. I am interested in a guest pass. I'm already a player on the server with an established home and a place in the USSVG, but am worried that my current sponsor, for specific reasons, will end up banned, leaving me without access. My home is Heaven's Staircase in the USSVG if anybody wishes to get an example of my care put into the server. feb 19 update: my worry came true, i am now without access. feb 19 update: am now sponsored again, thanks to stu! Ja_Jarackus and LaurenJuliet like this. The names Henderson. I've been looking for a business partner for some time now, and certainly feel my strategy and charm could bring some excitement to your life. I'd like to get in touch soon. My in-game name is operationguard, and I've played Minecraft since it's release. I enjoy redstone, building (both interior and exterior) along with terraforming. I enjoy economy based servers. Working along side someone strikes me as enjoyable. I do have a full time job so won't be the most active player in the world, but I'll certainly visit when ever I have a second. If you'd like any further information, please contact me on Discord - I am in Noxcrew Discord server so drop me a message . Dear Reader, I am just a humble man looking for my way in the world. Like many great men/women, I would like to build my legacy from the bottom up. But I am not a rich man, so I can not afford the trip to the new world. As a man seeking greatness, I am willing to become an indentured servant to pay for my ship fair to the new world. I may not be the most talented man in the world but I never give up. A-5: Hi, I’m am unit S-00004 of the Automaton-5 (A-5) Survival Program. I officially call myself “Zach, ‘The bot’ A-5”, but you can call me “Zach”. I currently reside at Oak Street at Cherry Point, the road off of Mayor Avondale’s House. It’s a nice house, and got ample room. I have 3 objectives in life, Survive, thrive and experiment. Survival is well, survival. I am not like other bots who need electricity input in order to survive. I run on food and oxygen to keep a generator active. Because of this unique system, I must eat like every other living thing to survive. Thrive is to set up a house, a business and an attraction. The house which I’m still building underground is my living space. The business is going to use chicken as a product. 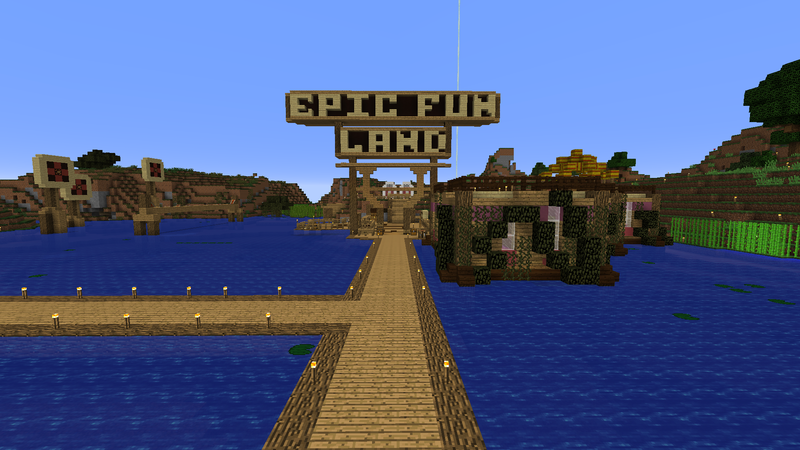 And the attraction you can call “Gameshow + Theme park + mini games = the attraction”. As for expectation, well, as I am a lab bot, I need to experiment on myself and my world in order to understand an ultimate question. A question no human or machine has been able to answer, what is the meaning of life, the universe, everything. In addition, I will also experiment on things I will come across and even experiment with food, as I need it to survive. I will provide more detail in the future. Till then, I’m Zach, shutting down. Zach: Thanks A-5. Now this unit also has some secrets of his own. I will tell of two now, but can be only explored, in game. The Bot contains a recorded log of his journeys. It’s a private log and can be only accessed by someone with knowledge and hardware of computer origin. And if said person is skilled enough, they can smash the firewalls and learn more about the A-5 Survival program and learn of other bots out in the field. The other one… let’s just say our head researcher decided to put a drunk protocol into the bot and now… let’s just say “That was not medicine!” (That’s a quote from the MEDIC from TF2). The bot contains more secrets, but only in conversation. Before I go, I have one last thing to say. As a thank you to giving me your guess pass, I will add you in the lore. If you give me a guess pass, a custom character of your naming would have given my lab millions (mind you this is lore, you don’t have to pay a single penny!) to continue research in the A-5 Survival Program, effectively bring “Zach” back to the server. 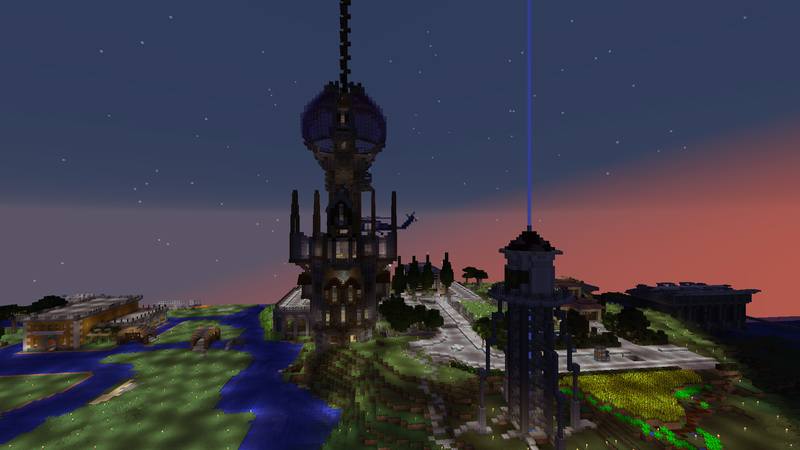 And if you jump on the server and you need a place to stay, I’ve built a bedroom where the “sponsor” can crash anytime. (Oh and if you have any free video editing software for YouTube, let me know. It would help!) I thank you for reading this article. If you’re interested, let me know in the in the responses.